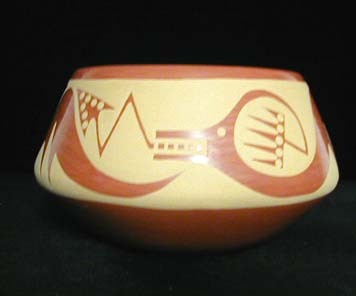 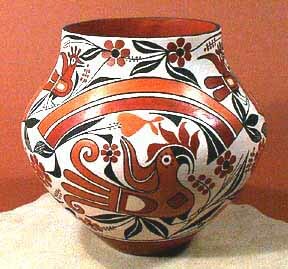 This is a beautiful pot made by a potter who is a legend in her own time, Sofia Medina from the Zia Pueblo. 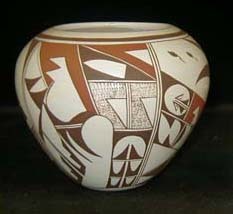 Sofia is arguably one of the most famous potters from Zia, and the matriarch of a line of potters that include such distinguished names as Marcellus Medina, her son, and her daughter Lois Medina. 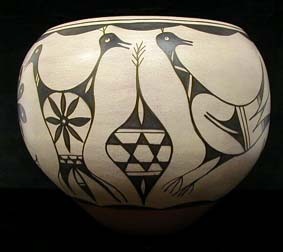 While Lois was alive, the mother-daughter pair of Sofia and Lois produced some of the most impressive and most collectable pottery at Zia. 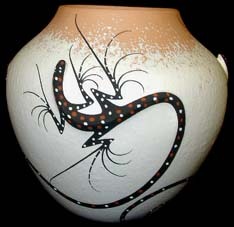 Unfortunately, Sofia passed away recently, depriving the art world of her great presence. 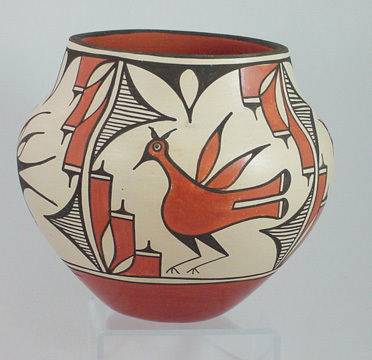 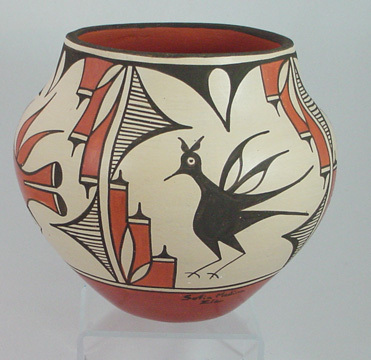 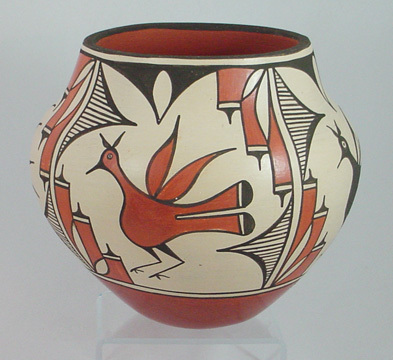 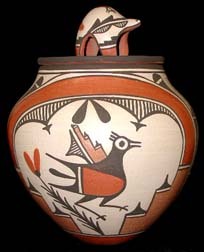 The pot is decorated with two different renditions of the Zia bird in two different colorings, alternating around the pot. 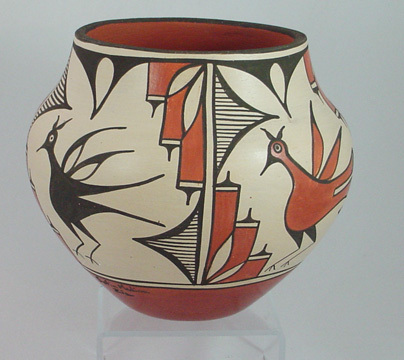 The birds are housed in medallion-like designs bordered by bands. 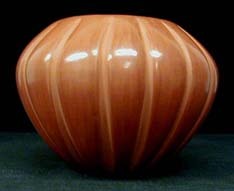 The present offering is measures 8 inches tall by 8 inches in diameter.